Richard L. Walter - Mediator based in Paducah, Kentucky. If you’d like a list of available dates for Rick Walter, please submit a request below. 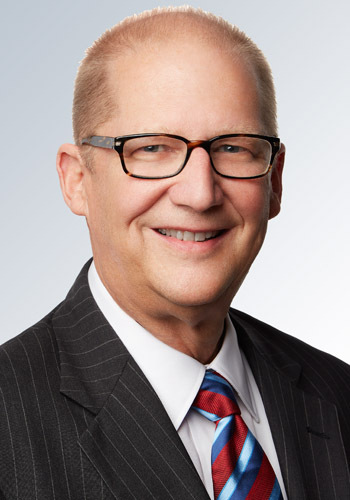 For the past 30 years, Richard L. Walter has represented corporate and insurance clients in all federal courts in Kentucky; before the Kentucky Court of Appeals, the Kentucky Supreme Court; the Sixth Circuit Court of Appeals; and in the vast majority of the state courts throughout Western Kentucky. Throughout his career, Mr. Walter has concentrated on civil litigation, tort and insurance defense. His clients include airline manufacturers, truckers and trucking firms, automobile manufacturers, pharmaceutical manufacturers, contractors, architects and engineers. He has numerous clients in the medical community, representing hospitals, nursing homes, physicians, and other health related entities. In recent years, a growing percentage of Rick's practice has focused on his role as a mediator and arbitrator, using his experience in litigation to help others settle or litigate their claims using Alternate Dispute Resolution means.